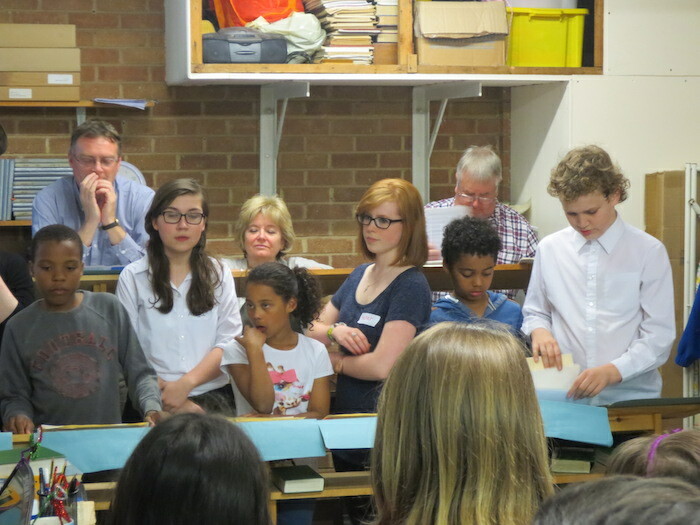 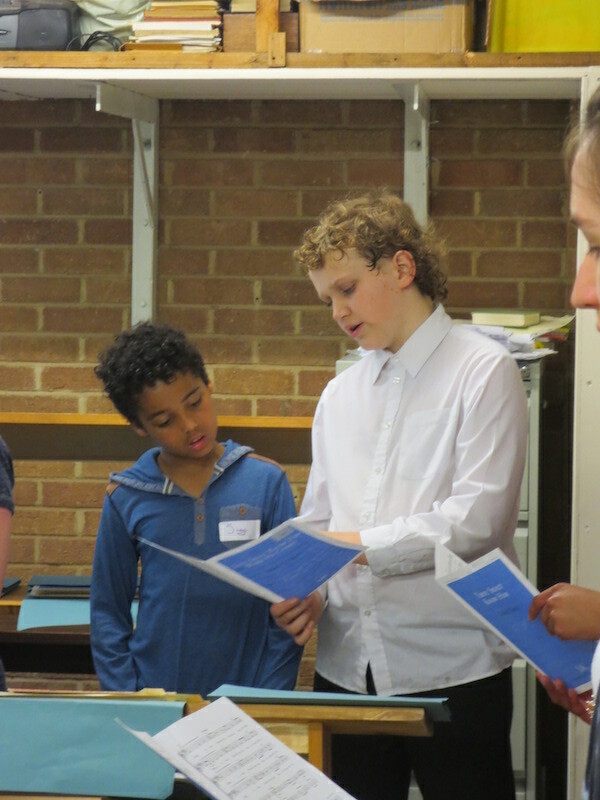 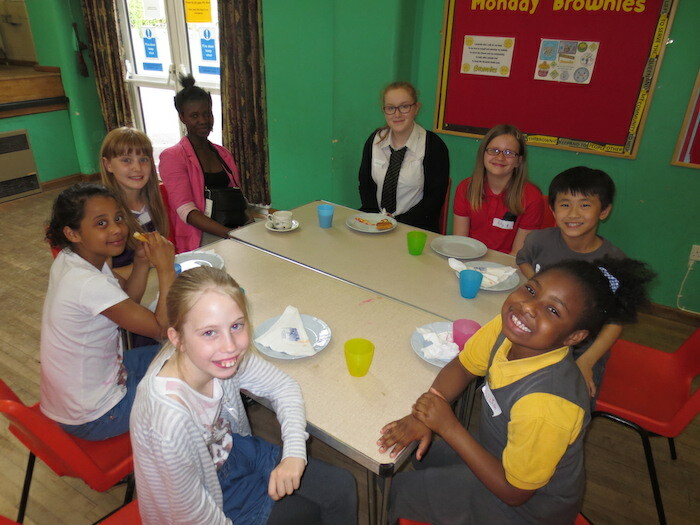 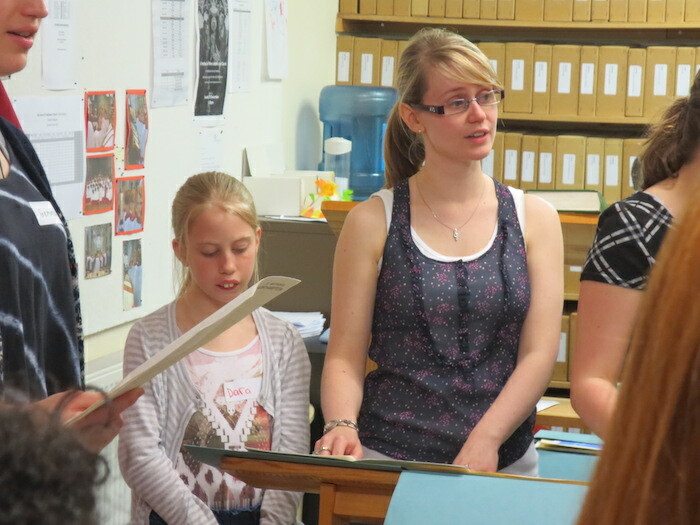 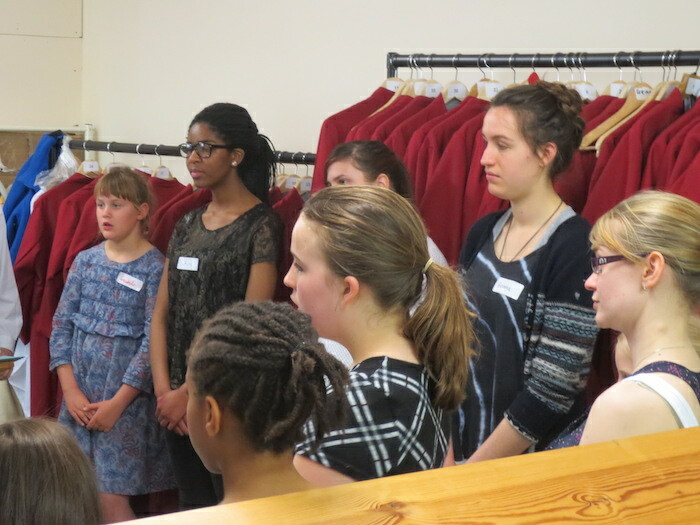 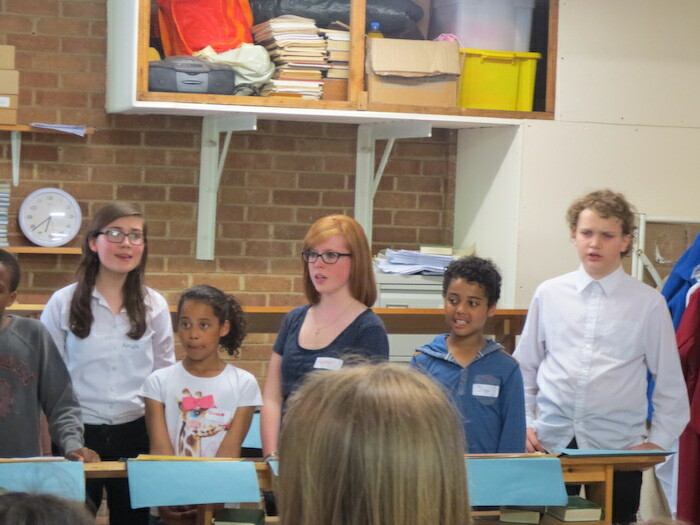 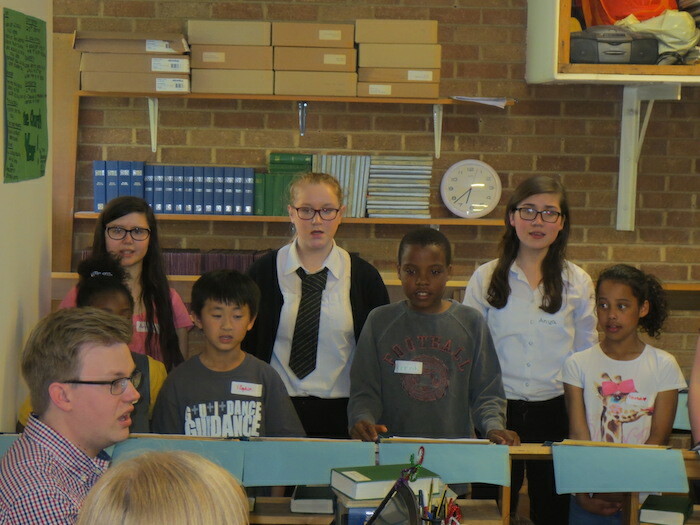 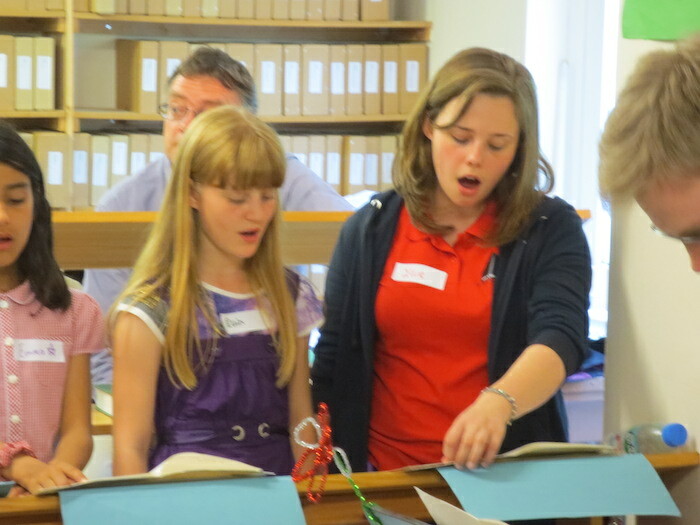 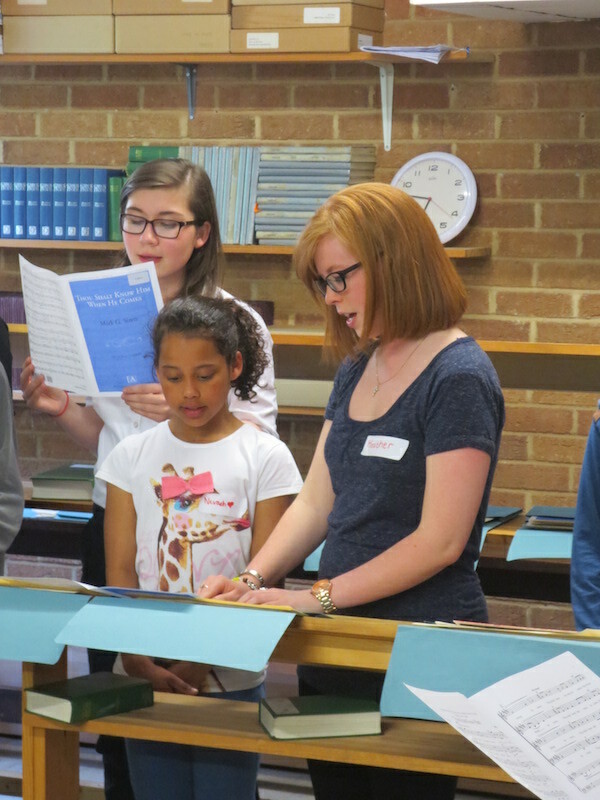 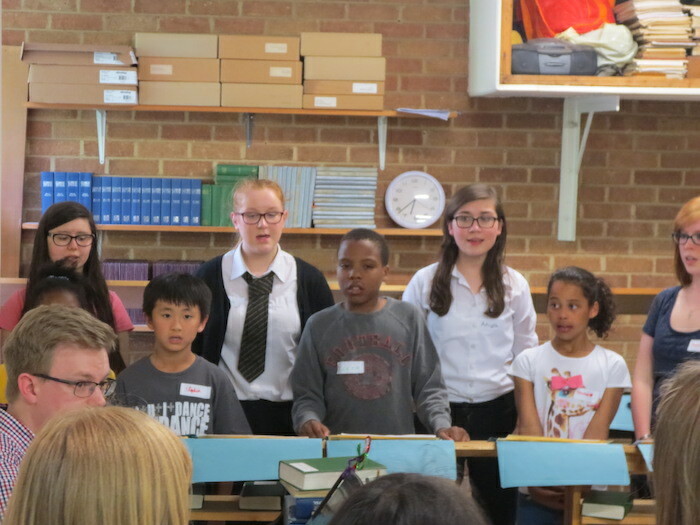 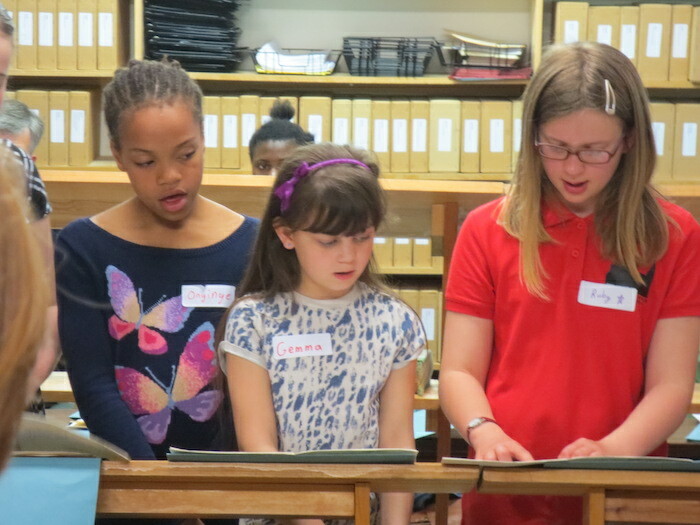 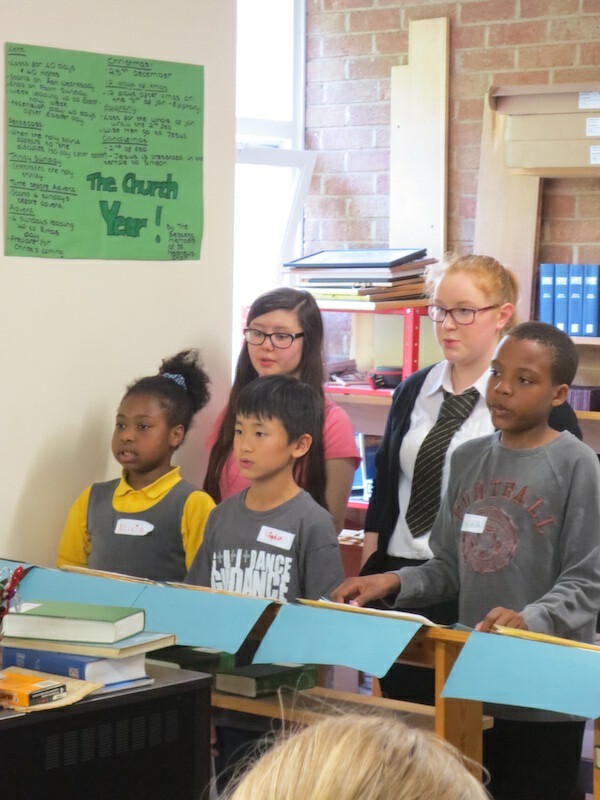 On Friday 16 May the choir was joined by children from all over Northampton interested in what it is to be a chorister. 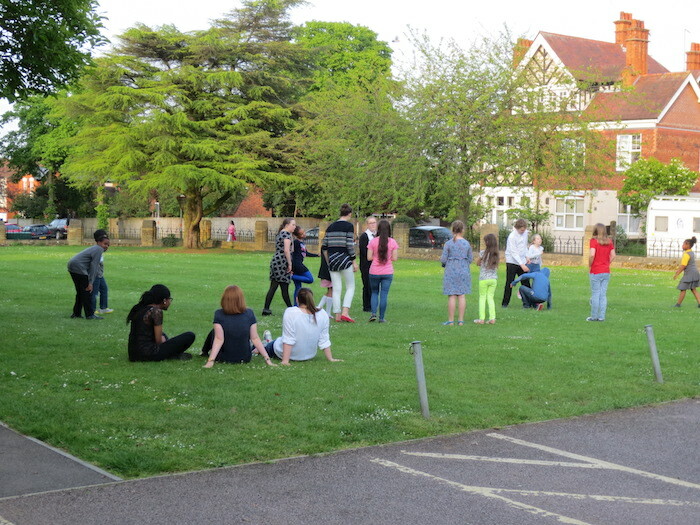 The evening began with some games on the church green and a particularly fiercely contested game of rounders helped everyone get to know each other a little better. 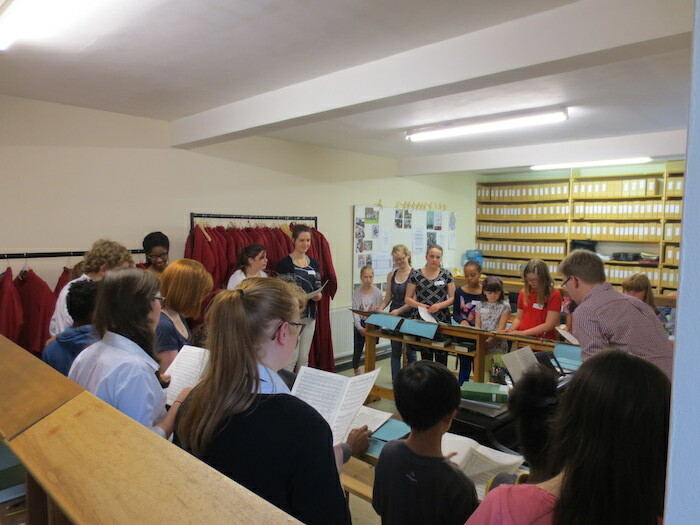 Whilst the games continued outside, parents were invited to attend a presentation given by the Director of Music regarding the choir’s hectic but rewarding schedule and laying out some of the exciting events that are coming up for the music department in the near future. 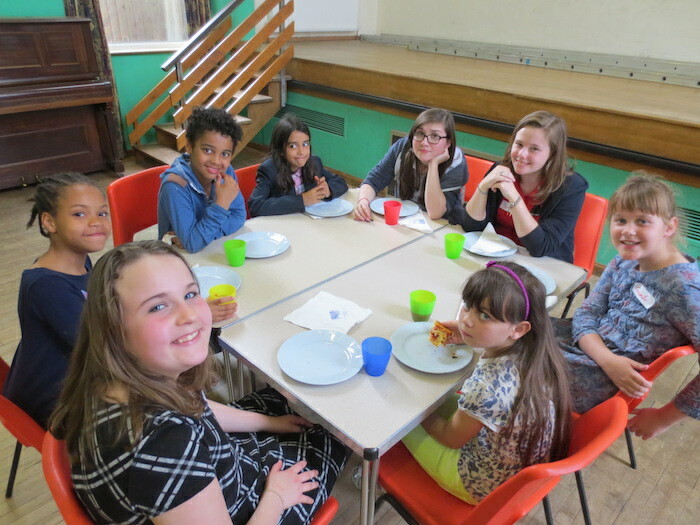 Everyone was treated to a slap-up meal from Pizza Hut(!) 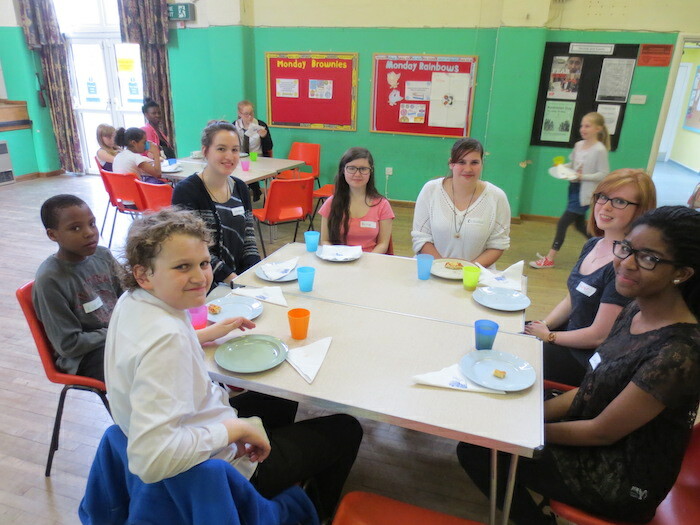 and the adults enjoyed a cup of tea and a chat. 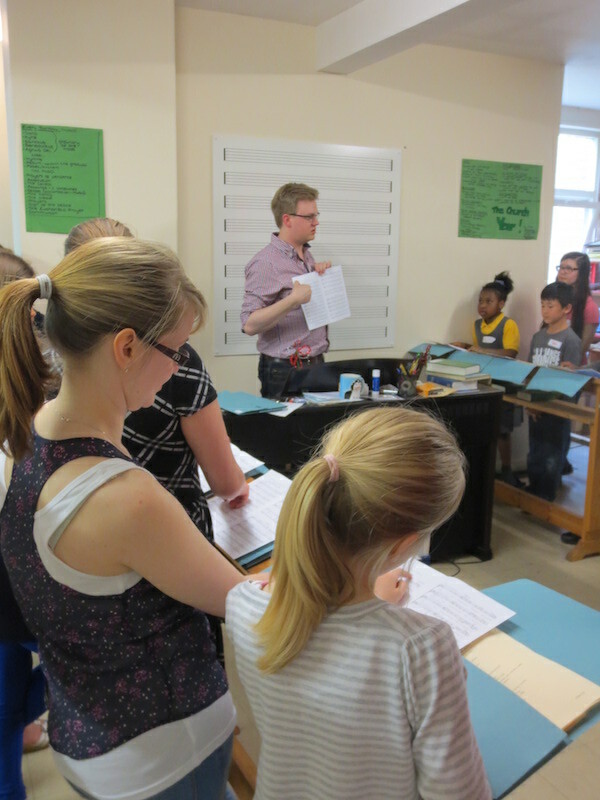 St Matthew’s Choir’s regular rehearsal evening is Friday and after tea we went upstairs to the Song Room to learn some music together. 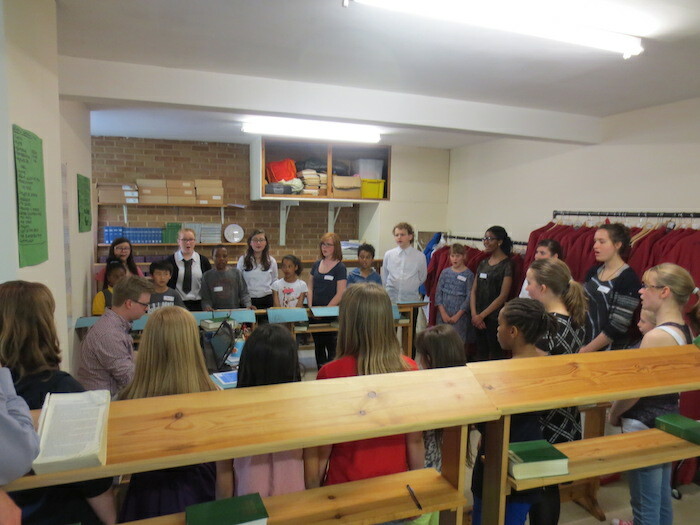 It was a bit of a squeeze to get everyone in, but all of the Be a Choristers were given a present chorister to ‘buddy up’ with. 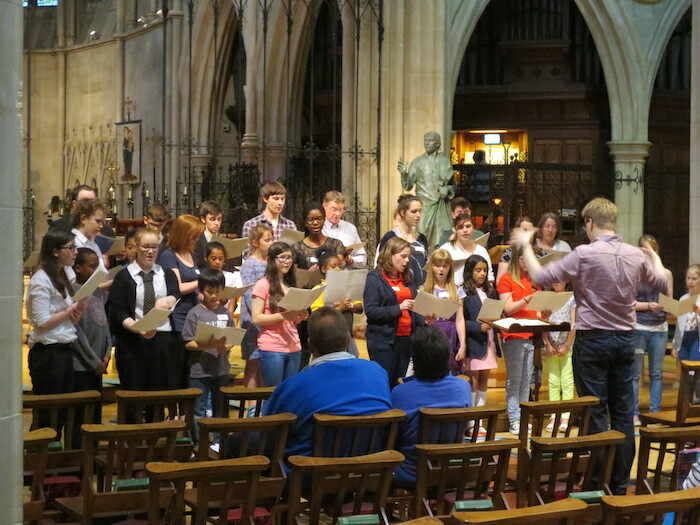 After some rather silly warm-ups two pieces were learned ready for the adults’ arrival later in the evening. 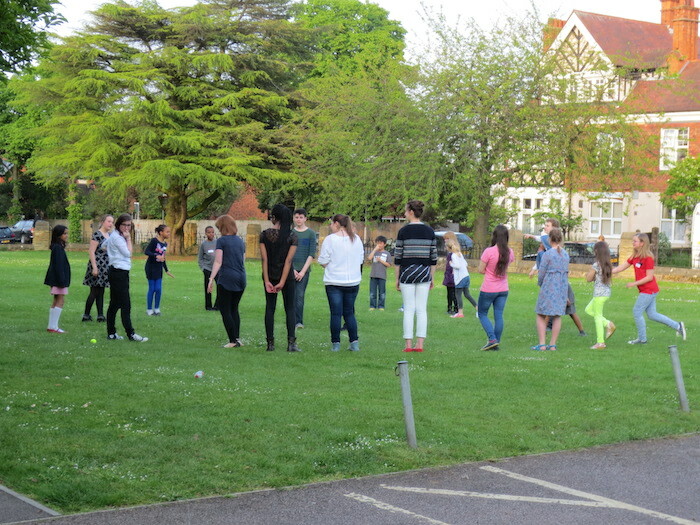 Following a break, and some more games outside, we all joined together to sing rehearse three pieces for a performance in the church. 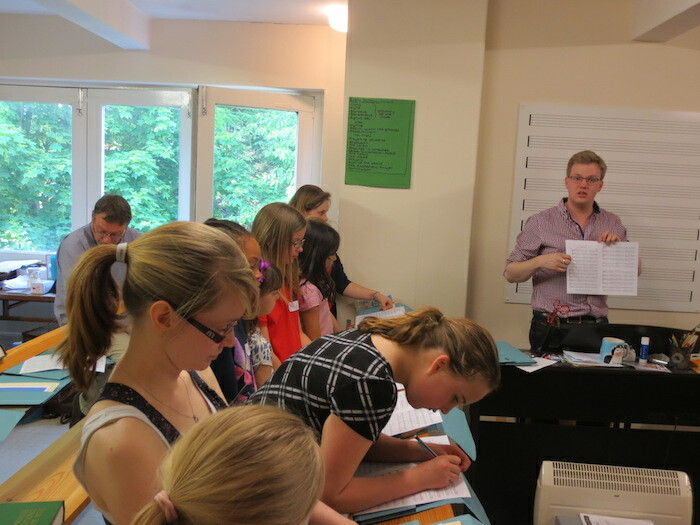 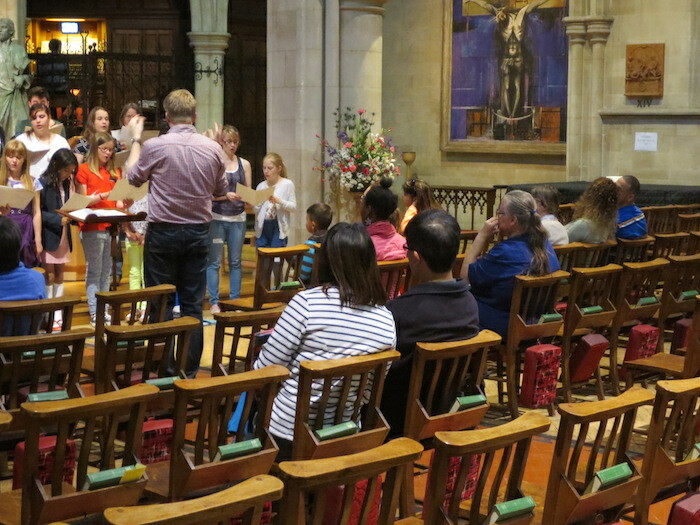 At 8pm we went over to the church to get ready for a performance of the things learned to parents and supporters. 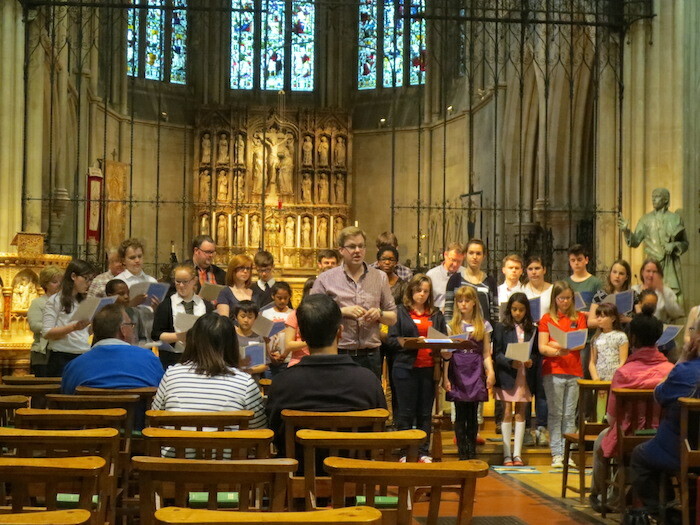 The St Matthew’s Choir, combined with 11 Be a Choristers, filled the church with sound and delighted the small audience that had come to hear us. 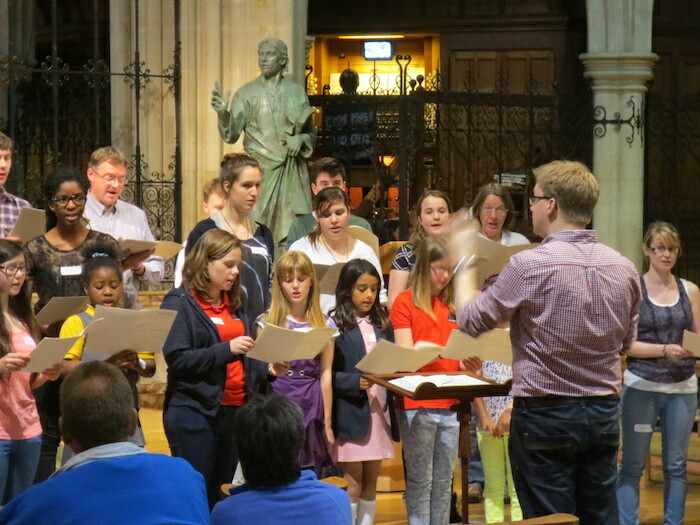 We sang Mark Sirett’s Thou shalt know him when he comes, S S Wesley’s Thou wilt keep him in perfect peace and Bob Chilcott’s arrangement of the spiritual Were you there when they crucified my Lord? 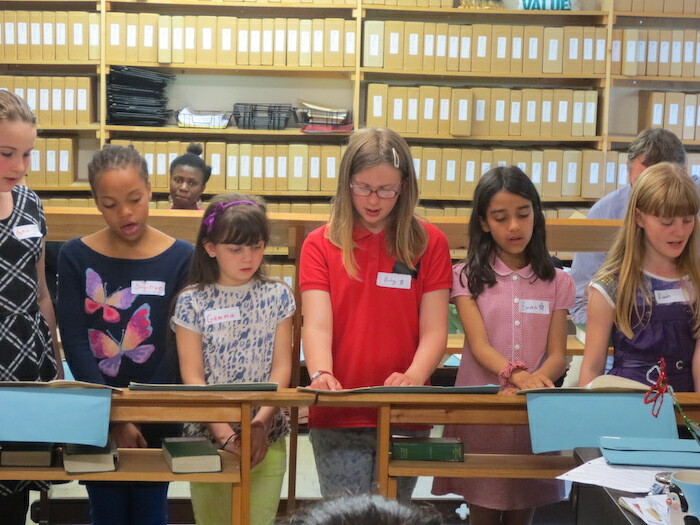 The present choir then gave two performances of works they have sung regularly: C V Stanford’s Magnificat in C and Philip Stopford’s Do not be afraid. 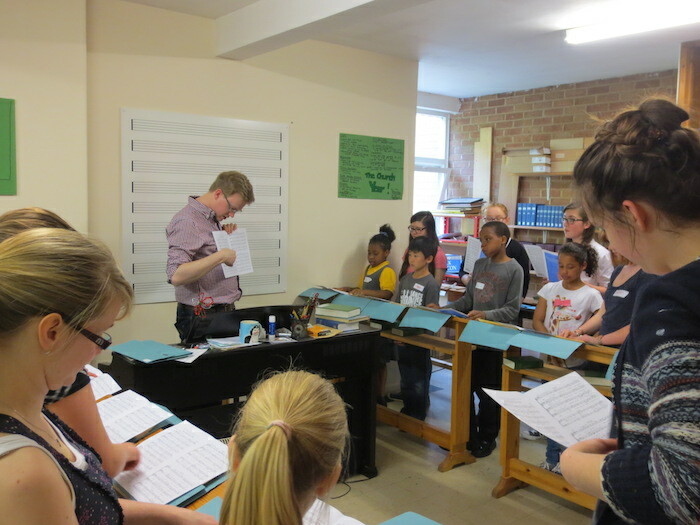 New choristers who begin in the choir in September can look forward to singing Philip’s new piece for the choir O how glorious is the kingdom which is the next in the succession of St Matthew’s musical commissions. 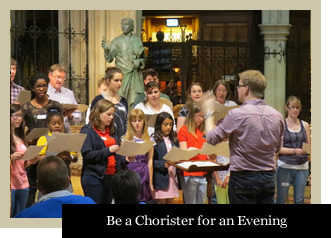 At the end of the evening the Be a Choristers were given a certificate to take home and invited to come back and see us soon. 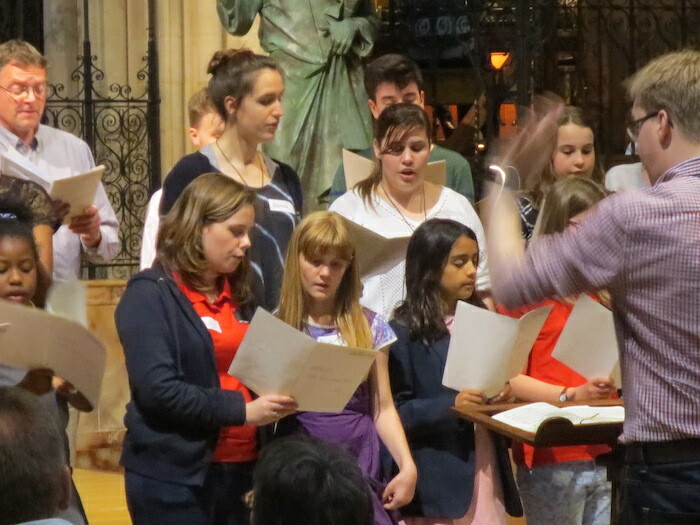 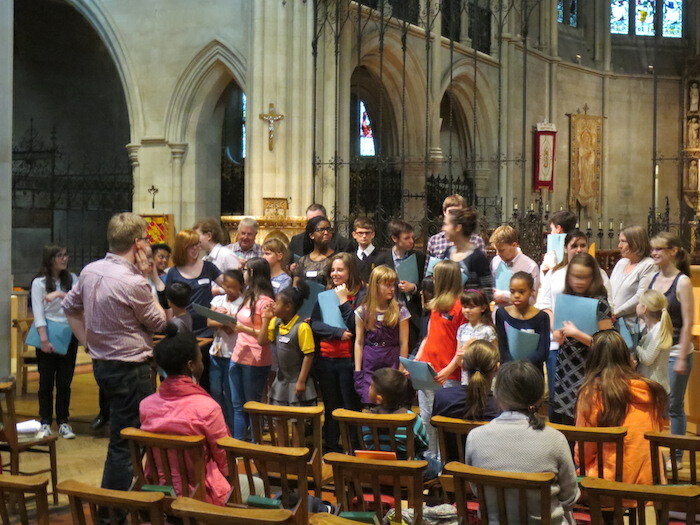 St Matthew’s Choir is looking for 6 new choristers to join its ranks in September 2014. 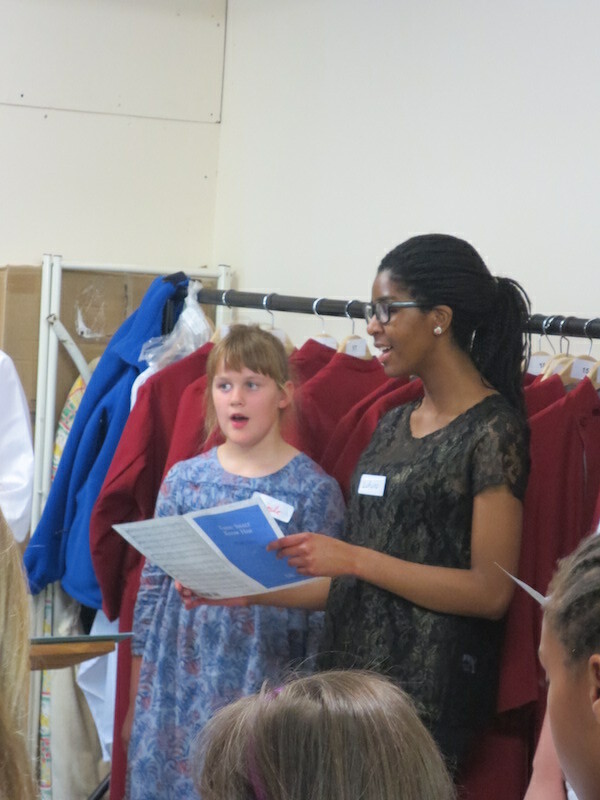 The Director of Music is always pleased to hear from prospective choristers at any time of year.